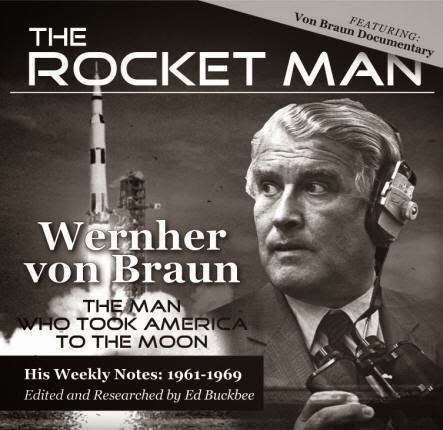 Wernher Magnus Maximilian, Freiherr von Braun (March 23, 1912 – June 16, 1977) was a German rocket engineer and space architect. He was one of the leading figures in the development of rocket technology in Germany during World War II and, subsequently, in the United States. He is credited as being the "Father of Rocket Science". ... According to one NASA source, he is "without doubt, the greatest rocket scientist in history". His crowning achievement was to lead the development of the Saturn V booster rocket that helped land the first men on the Moon in July 1969. In 1975 he received the National Medal of Science. I love how a man who worked against us in World War II came to America and helped us go to the moon. I worked on missiles when I was in the Army and was so impressed with the folks who imagined, designed and built them. Sad that NASA's budget has been cut so much. Maybe the moon is the limit? Or maybe we will dream of Space again? Why did the religious chicken cross the road?